Instagram is leaving no opportunity to constantly remind us that the holiday season is officially here and Kareena's latest pictures from Cape Town with hubby Saif Ali Khan and lil Taimur are not helping either. Reading and relaxation, beaches, mountains, walks, good food and so much more, it is time to treat yourself for all the hard work you've been doing all year round. And in case you were wondering what to take along this time on that long-awaited vacay, here are lessons in style, courtesy Bebo. Thank us later, ladies. By now we are well versed in Bebo's good looks, good looks & good looks, so this easy-breezy vacay look styled by Lakshmi Lehr doesn't really come as a surprise TBH. Her cool OOTD that comes all the way from Cape Town is setting a precedent for all our holiday looks and how. 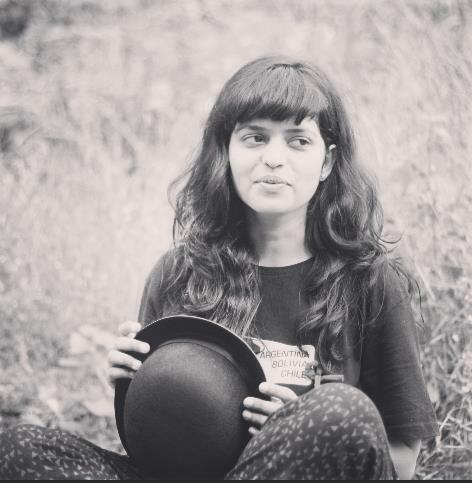 Dressed in a relaxed white shirt tied at the waist and beige trousers, her outfit is a minimalist's dream come true. Two vertical stripes on the separates added an element of detail to the comfy looking ensemble. Do we wish to wear it to that beach getaway? Sure thing! The wide-legged trousers and the classic button-down were, of course, accompanied by flats (it's a vacay, after all!) and popping yellow sunnies (because quirk). To add to the holiday mood, Kareena let her beach waves down, in keeping with the getaway rulebook. 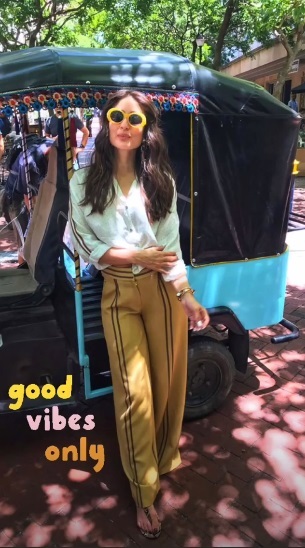 But before you pack your bags and head out for your own vacay, we have for you all that you will need to style your holiday look the Kareena Kapoor Khan way, and on a budget! A white shirt complete with stripe details that could be tied at the waist? Yes, please! 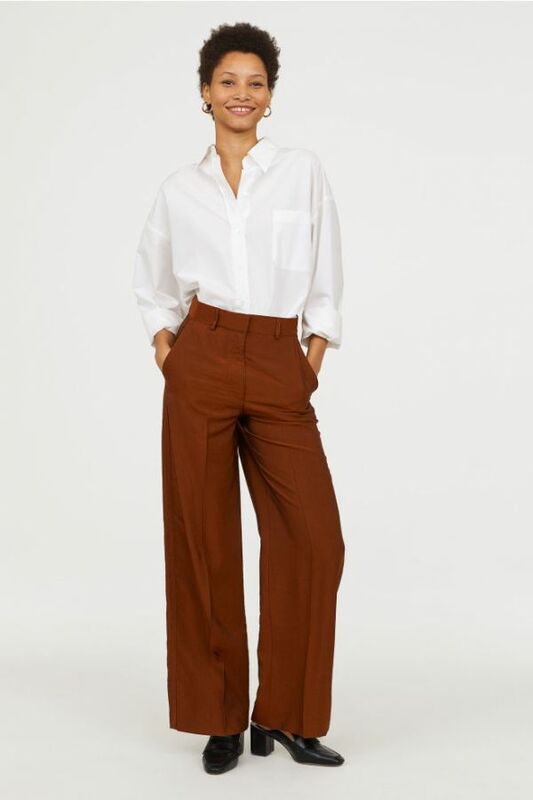 We have the perfect wide-legged trousers for you, should you need them. 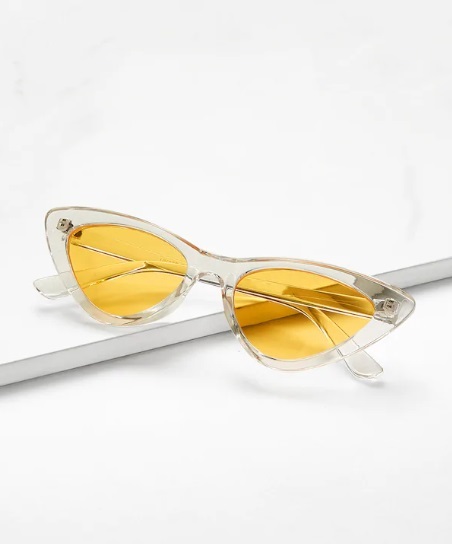 And to top it all, yellow-tinted sunglasses! Ready to roll into vacay mode? Check out POPxo' Wanderlust Collection and book your holiday already!